Disaster can strike without warning. 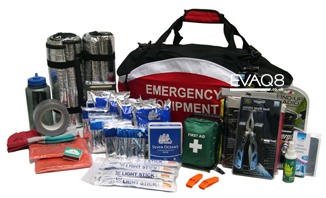 Emergencies or a major incident may force you to evacuate your home, work or study place or it might confine you. Basic services such as electricity, water, gas, telephone may be cut off for extended periods of time. Emergency services will respond but they cannot reach everyone right away. No one can predict what might happen. 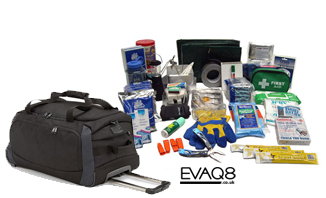 EVAQ8 produce emergency and disaster preparedness kits that you can depend on, equally effective in the event of a rapid evacuation or a shelter-in-place situation. 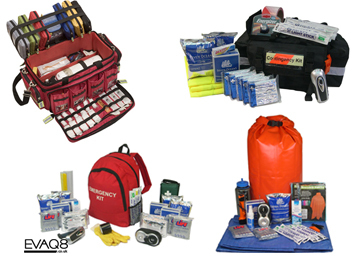 If you would like to build your own preparedness kit or grab bag, we have hundreds of products to choose from. 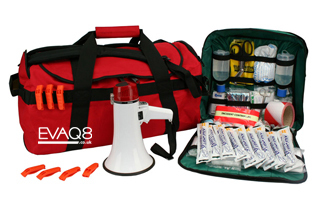 In addition to our range of standard emergency kits we offer a competitive bespoke service. 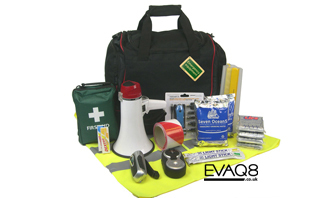 We can customise our existing preparedness kits to your specification or create new disaster preparedness packs to your exact requirements. 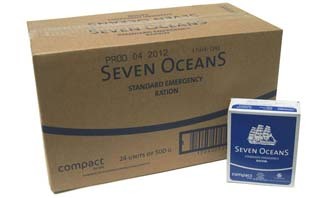 Simply see our information on bespoke orders and get in touch with your requirements. 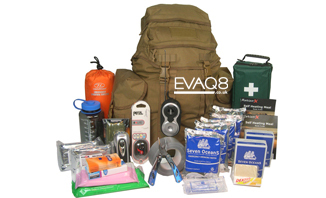 EVAQ8.co.uk supplies standard and custom-made Emergency and Disaster Preparedness Kits to government, NHS, business, organizations, private customers nationally and internationally. Our area of expertise is to provide resilience capacities: practical tools for Crisis and Disaster Management, Business Continuity, Emergency and Disaster Preparedness in the United Kingdom, Europe and abroad. Disaster Preparedness means having the right tools available to support people and communities during their disaster management and disaster recovery efforts. 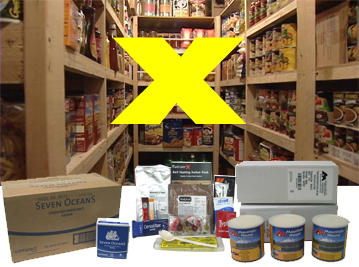 This includes providing disaster preparedness kits, disaster preparedness communication and survival equipment, disaster preparedness emergency food, water and water purification etc. For full details please see our main website.